Amanda does not claim a particular genre of music, and in doing so enjoys variety in her music and audiences. As a solo artist, a member of a women's contemporary folk band called Wildflower, and of her Amanda Grace indie rock band; she is a performer not to be missed. After attending Winona State University she began a more intentional look at returning to music after her nephew was diagnosed with leukemia. In 2010 she released a children's album called, "Trains, Cars + A Trip To Mars." Soon after his father also passed away. Amanda wrote some songs from the experience and released, "Embrace" in 2012. After a successful kickstarter project, she released her first EP called, "Keeping Hearts" in June 2014. That month she appeared at Ed's No Name bar in Winona with her group Wildflower as the release event. "Better Life" EP was released in December in 2017 with full length alternative “Rayne Angel” TBA near November 2018. Rayne Angel is a flavorful and diverse full length alternative based album, and a truly Minnesota made album; all of the album captured in her own home. Recorded & produced by Fletch Archerd & Amanda Grace. She has performed The Mid West Music Festival almost every year since its inception. In 2015 and in 2018, she performed on the first day of the Wisconsin music and art festival, Ashley for the Arts. Wildflower joined the Boats & Bluegrass Festival in 2017 and her self named rock band played for Big Turn Festival. Rayne Angel is a flavorful and diverse full length alternative based album. It is no surprise that Grace has kept developing her own taste in music; ranging from alternative rock to folk rock. Rayne Angel is a truly Minnesota made album; all of the album captured in her own home. Recorded & produced by Fletch Archerd & Amanda Grace. SPECIAL GUESTS: ILLUSION VALLEY 8PM, KATY VERNON BAND 9PM, AMANDA GRACE BAND 10PM. 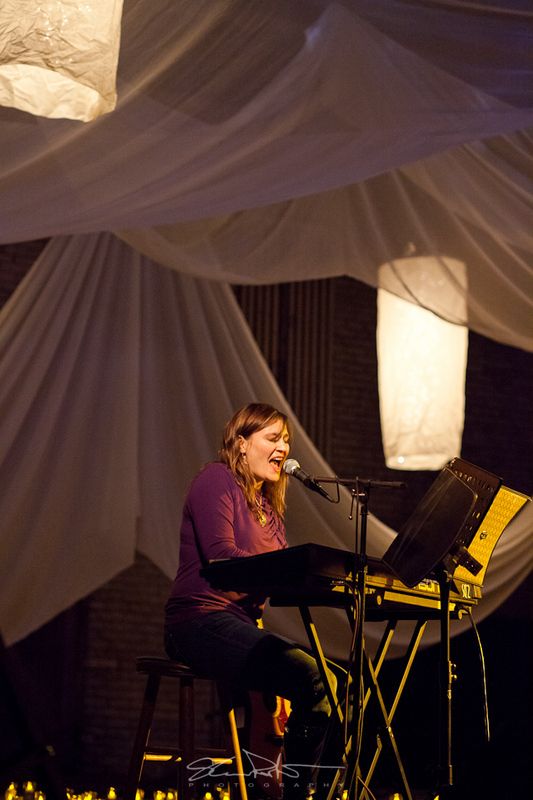 Some of the inspiration for her early music comes from the death of her nephew Bryce Breuer and his father soon after. She released her first children's album Trains, Cars & a Trip to Mars in 2010. Grace's cover of "You Are My Sunshine" was featured in Parents magazine in 2010. In August 2012, Grace released a rock/AA album called Embrace. In 2014, Grace released the Keeping Hearts EP which added six new acoustic rock songs to her collection of released music. In 2015 Grace's single "Los Angeles" was in the Top Five of the Upcoming100.com's "Emerging Artists" category. The single which was released in November of that year was also reviewed by NeuFutur Magazine. It was produced by Scotty Lund and featured rapper Prime Blaq. The lyrics for the song were written at an LA Airport prior boarding a plane. Better Life is her fourth work. The local release event is to be held at Ocooch Mountain Music’s Curiosity Shop, Winona MN on Sunday Nov. 5th at 2PM. "Thoughtful and contemplative singer, songwriter, and pianist with beguiling vocals and intimate, confessional lyrics." “Courageously flaunted guitar chops vie with Amanda Grace's fascinating voice for MVP honors in this magnificent pop rock ballad masterpiece, forecasting a big future for her talent." "During the competition, more than 15,000 people cast their votes for Grace’s song—a number she was humbled by." Amanda Grace band performing music from "Better Life" release, including, "What Is This Life," "Better Life," and upcoming music from "Rayne Angel."